The panel raises below are available on most cabinet doors we offer. Certain aspects of a dor may prohibit a given panel raise from being used. 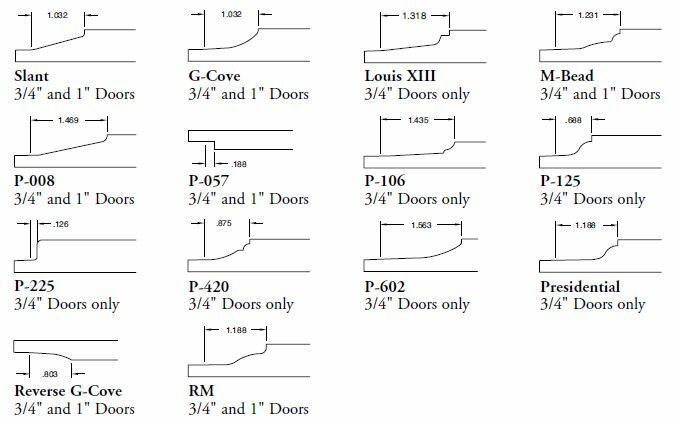 Please see the door detail page for the door you are considering to see what raises are available on it. Note that some doors either have design specific panels raises (IE: shaker collection doors with mandatory flat panels) or no panel raise at all. When reviewing your quote, you may see a mix of panel raises (IE: Slant raise on doors, but P057 on drawer fronts) or panel raises with names or numbers not shown here. In these cases, the profiles we choose for you are the mandatory option for that door and the raise it uses is not pictured here with all the standard raises. We can supply an image of any raise to you if necessary. Note that smaller doors or drawer fronts may require a flat panel P057 regardless of the raise you requested. This is due to the fact that the raise will not fit in the door size and still allow room for hardware. 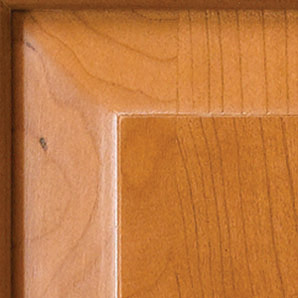 A Cabinet Joint professional can guide you on your panel raise selection.